I have planned on writing this post for awhile now but really struggled with what platform to use. I am much more of a visual and auditory learner but hate watching lengthy videos. And truthfully I feel as though my voice would be pretty annoying. 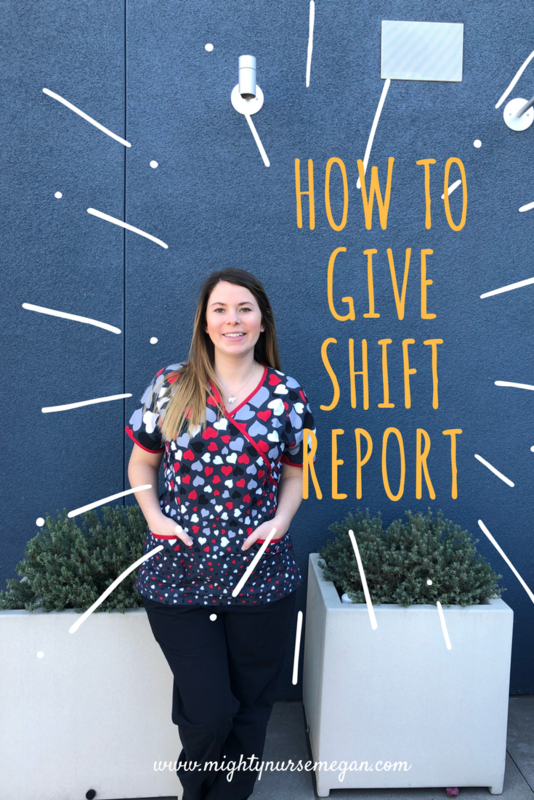 So instead, I am going to try and convey how to effectively give shift report through my words. 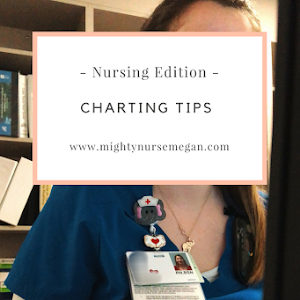 Throughout nursing school, professors will stress the importance of bedside shift report, but nobody will teach you how to do it. If you are lucky, then your preceptor during your senior preceptorship may have taught you. 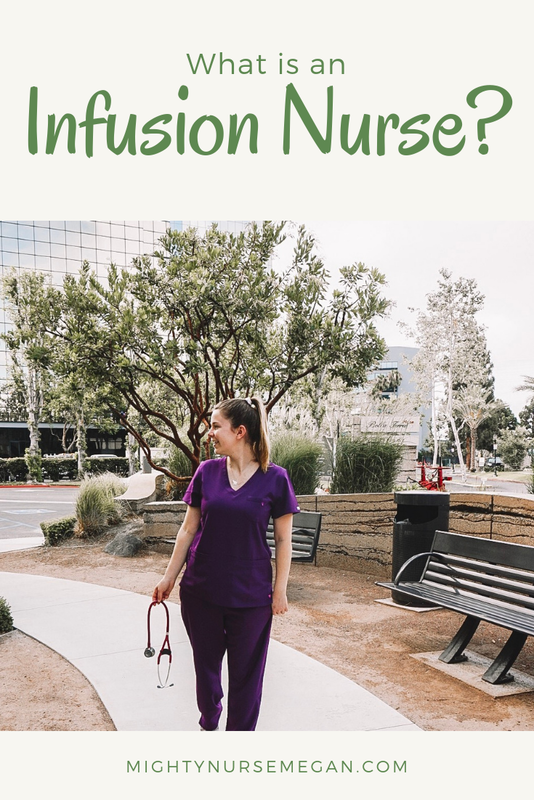 But probably as a whole the first time you are actually giving report is the first days on the job and without a doubt, you will encounter an experienced nurse who will give you sas. 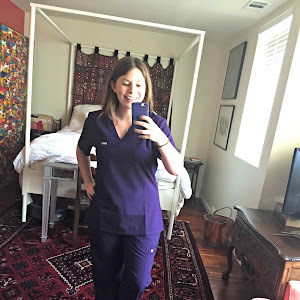 I do not understand why there is a culture of nurses who eat their young, but it happens. Just brush it off! Okay so let's get into it! First and foremost, you have to know your patient and their stay; But make sure that you are only giving need to know information. You want to be specific, concise, and clear. Write things down! A lot will happen in twelve hours, do not rely on memory. Put your thoughts down on paper in a way you can read it at the end of your shift. Be respectful to one another and leave your emotions of the day out of it. Set your coworkers up for success! Nursing shift report is very similar to SBAR. 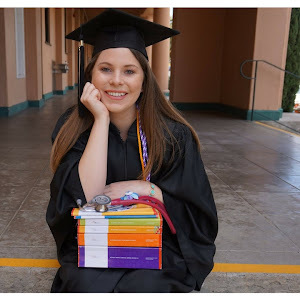 If you are not sure about what I am talking about, check out this post here. But instead of reporting information, you are telling a story of your patient. Hi, good morning Mrs. Doe. This is Jackie and she is going to be taking over for me. I am going to let her know why you are in the hospital today. Feel free to add information you may like. So we have Mrs. Jane Doe. 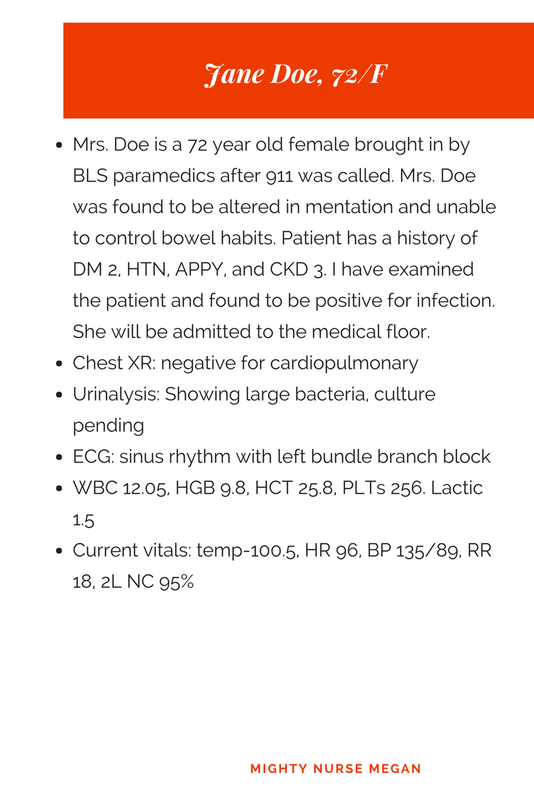 72 year old female admitted on the 3rd for UTI/Sepsis. Mrs. Doe was brought in from Wellness Skilled Nursing facility after she was found alerted without fever, chills, nausea or vomiting. Max temp in ED was 100.5. UA is positive with cultures pending as well as blood cultures. She is a DNR. 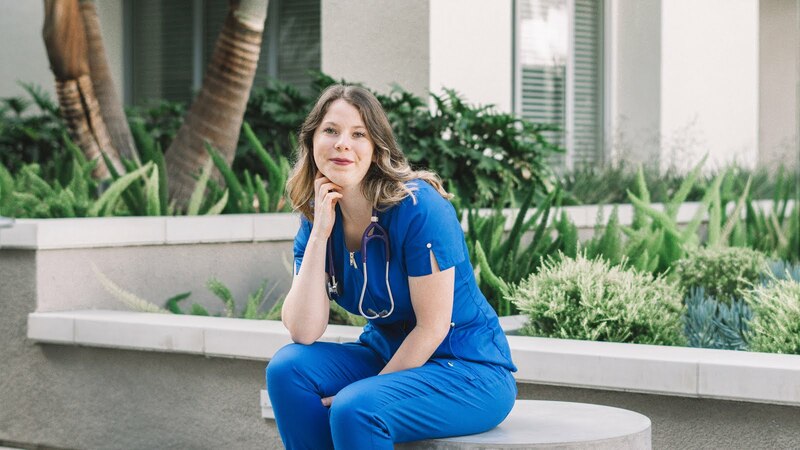 Has no known allergies and followed by Dr. John, hospitalist. 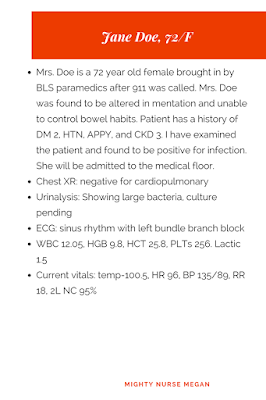 She has a history of DM, HTN, Appy, CKD 3 with no dialysis, repeated UTIs, and dementia. Chest XR was negative and ECG showed SR with L BBB. She is not on the cardiac monitor here. Vitals have been stable. Most recent BP 117/82, HR 89, RR 18, temp 99.0. She is alert only to self, but able to follow commands. Lungs sound diminished at the bases. She is on 96% on 2L and does not use oxygen at the facility. Foley catheter was placed in ED to the right thigh. Incontinent of bowels. Last BM on the 4th. She has a left forearm skin tear. Pictures are in the chart with mepilex and roll gauze over it. Coccyx has blanchable redness with a sacral border for prevention. She is on a mechanical soft diet with ACCUchecks AC/HS, pills whole with applesauce. High fall risk. Up to chair for meals with front-wheel walker and one person assistance. She is on zosyn q6h to a R AC 20# placed in ED. No complaints of pain on shift. We are awaiting culture and sensitivity before discharging back to SNF. Please follow up with the doctor regarding removal of foley catheter. Patient's daughter Nora would like to be contacted with any changes and is signing consent for any procedures. As you can tell, my report is fluid and tells the "needs to know". At the end, I will ask the other nurse if they have any questions or concerns. There is always going to be more information you can share. I could have mentioned the lactic, but it was in normal range. I could have told the next nurse what the patient did for a living, but that is not pertinent to providing care. I really hope this helps! Leave your questions down below or reach out to me on Instagram.